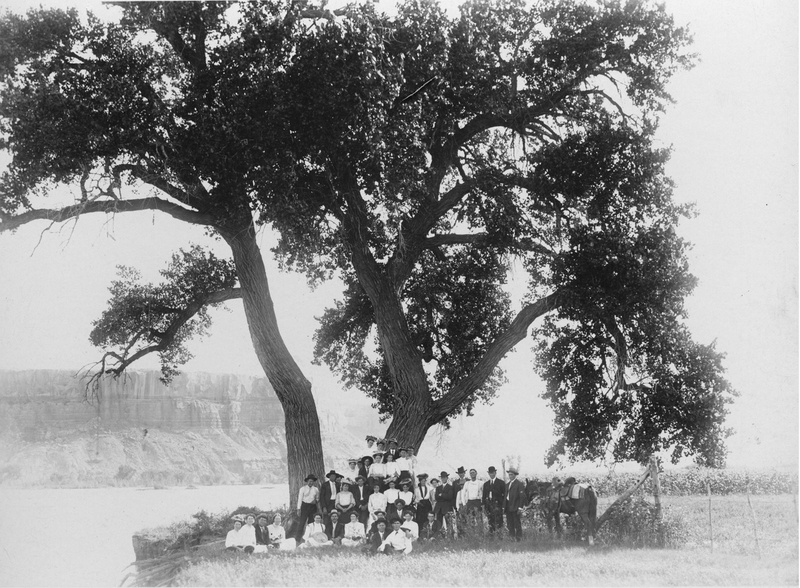 At first, the residents of Bluff met under the old cottonwood tree on the banks of the San Juan River. After a swing was attached, the tree became known as the "Swing Tree." 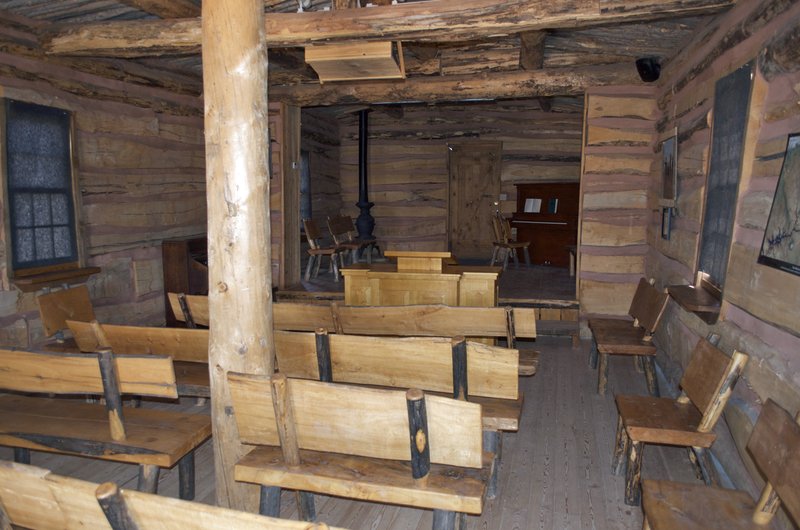 A more substantive meeting place was necessary, and Bluff's residents built a double-length "cabin" in which to hold meetings. 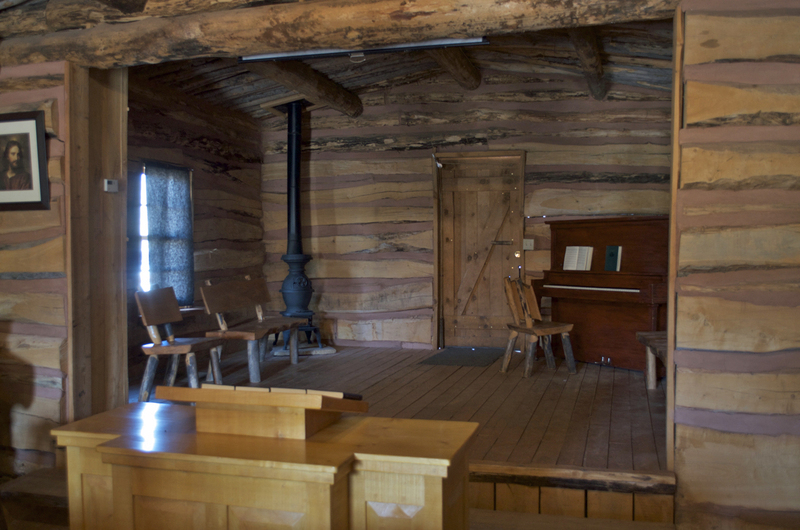 A new section was added making it three times the length of a family cabin. This building also served as the school, court house, and community center. 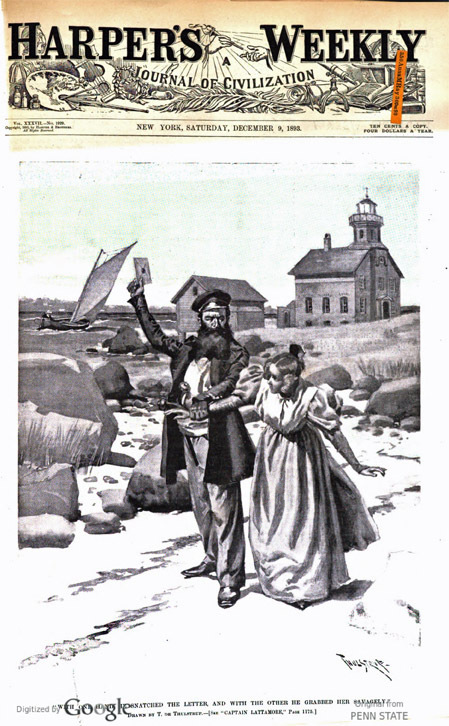 The drawing below (right) was published in Harper's Weekly on December 9, 1893, by artist Remington W. Lane. 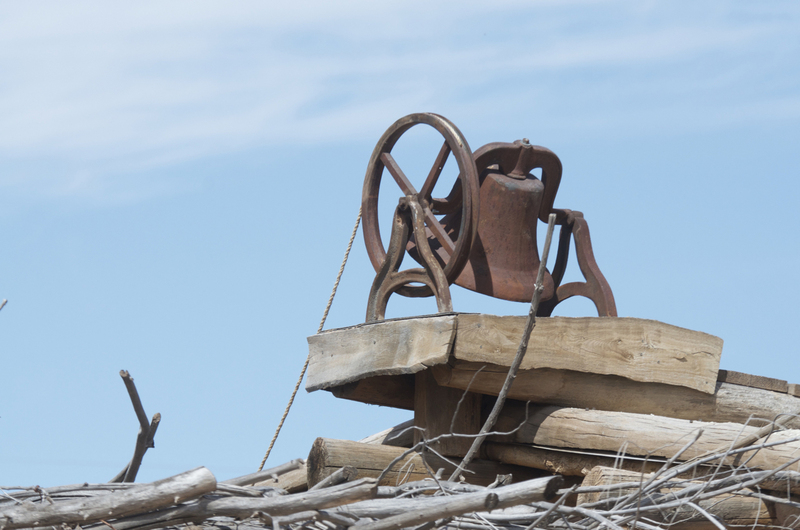 "Is it possible in any fertile spot in Utah, no matter how remote from civilization, not to find a prosperous band of Mormons? It might have been so before '79, but now we find many interesting settlements. 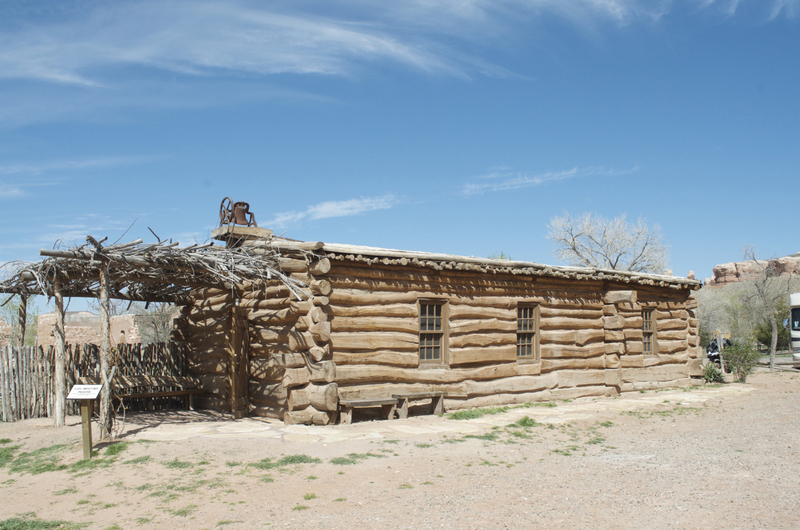 One, a carefully laid out village, built on the bottom-lands of the San Juan River and the cliffs, is fitly called Bluff City. 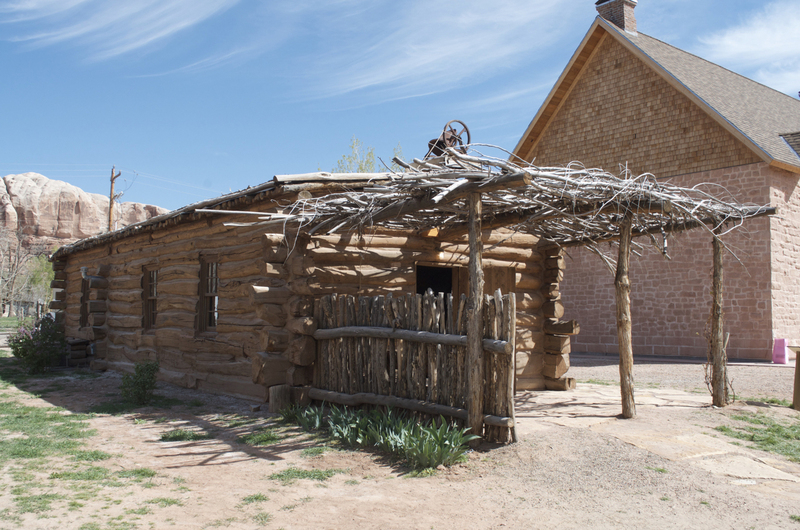 I cannot imagine a finer example of Mormon enterprise than these two hundred people, with their wealth of cattle and horses, leaving good homes, and facing the dangers and hardships of an unknown country." Harpers Weekly, December, 9, 1893. Cottonwood "Swing Tree," a favorite Bluff meeting place.